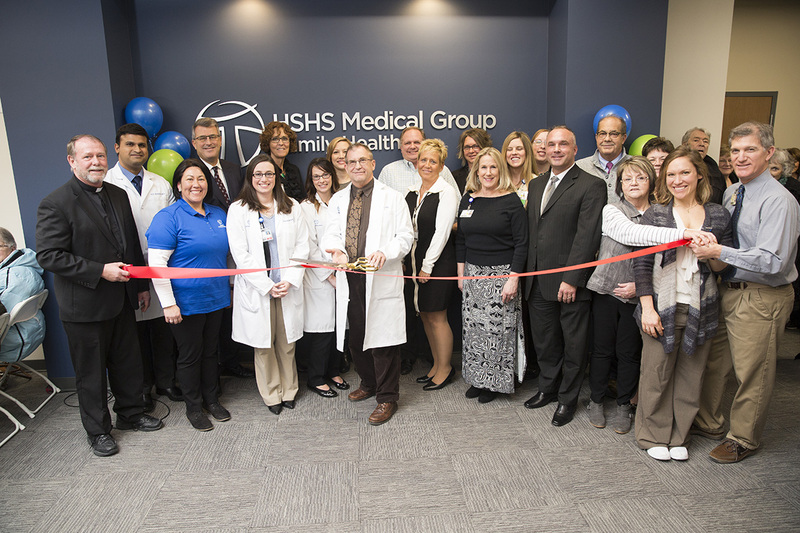 On January 15, HSHS Medical Group opened a new facility at 125 E. Plummer Blvd. in Chatham, IL. 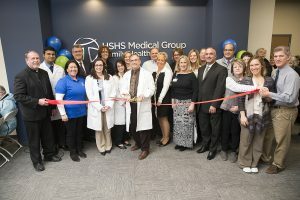 It is now home to HSHS Medical Group Family Health, previously located at 345 North Main Street, and HSHS St. John’s TherapyCare, previously located at 1134 Commercial Court. A pediatric clinic will open in February. “HSHS Medical Group Family Health doctors have been caring for patients in the Chatham community for more than 30 years. We are pleased to continue our commitment to Chatham by expanding hours, services and our location footprint. This new location is 17,000 square feet – large enough to accommodate primary and pediatric care, state of the art lab and imaging services, and a partnership with HSHS St. John’s TherapyCare,” said Melinda Clark, CEO of HSHS Medical Group. HSHS Medical Group Family Health is expanding hours for more accessibility early and late day. Same day appointments and Saturday morning hours will continue to be offered. The clinic will also offer state of the art lab and imaging services on-site. All staff, including providers James Crabtree, MD; John Rollet, MD; Kenneth Schmidt, MD; Sarah Blank, PA-C; and Angela McCormick, FNP-C will relocate to the new facility. Pediatricians Erin Blackburn, MD, and Gopinathan Nambiar, MD, will begin a pediatric clinic rotation in February. HSHS St. John’s TherapyCare will offer physical therapy services, including integrative medical services. All staff, including two physical therapists, will transfer to the new facility and their hours will remain 8 a.m. to 5 p.m., Monday through Friday. HSHS Medical Group Family Health and HSHS St. John’s TherapyCare colleagues celebrated their new location with a ribbon cutting ceremony on January 9, 2018.